Banner Ads: Banner ads are rectangular text or image ads that occupy a small spot in app's layout. Banner ads stay on layout while users are interacting with the app and ads refresh after a certain period of time. Interstitial Ads: Interstitials ads are full screen ads that cover entire app's layout. Interstitial ads displayed at transition point of an app. 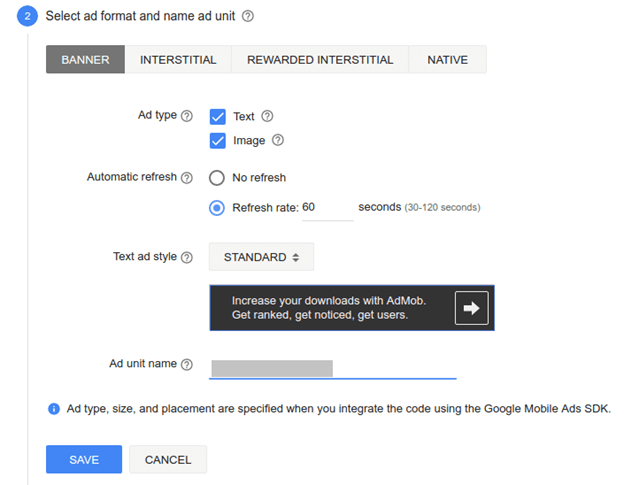 While interstitial ads displayed, user are two options either click on it and move to ads location or either close it and return to app. Rewarded Video Ads: Rewarded video ads display full screen video ads in exchange for in app rewards. To implement Google AdMob, we need to create AdMob accout https://apps.admob.com/signup or Sing into AdMob account https://apps.admob.com . 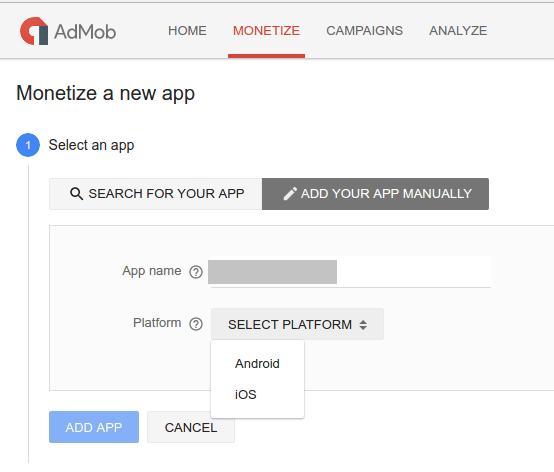 After login through AdMob account click on Monetize Tab to create Ad id for existing app or for new app. For our existing app we click on "SEARCH FOR YOUR APP" and for new app we click on "ADD YOUR APP MANUALLY" and gave app name. Now we select the Ads types that are to be displayed on app's layout. 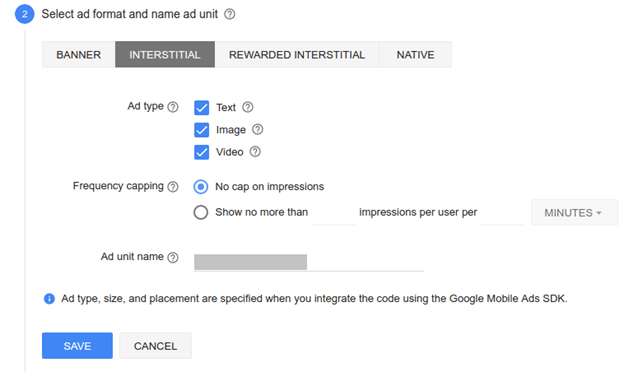 For Banner Ads click on Banner tab, for Interstitial Ads click on Interstitial tab, for Rewarded Video Ads click on Rewarded Interstitial. After successfully creation of Ad unit id, a new window display Ad Unit name and Ad unit ID.